New cheerleading trophy figure, that's right arms and legs can be posed. 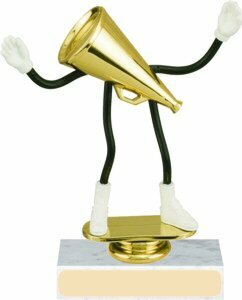 This trophy sure to be a hit with anyone receiving it. Three lines of free imprinting on a gold plate is included with this trophy.